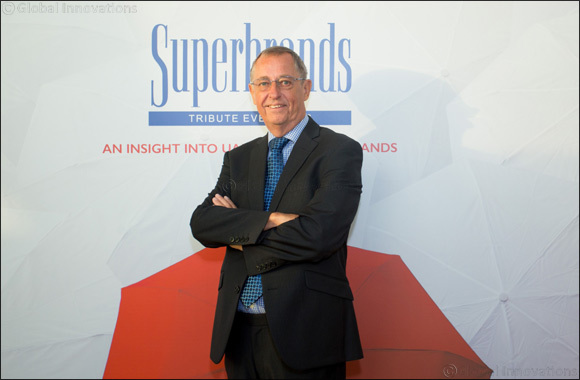 Dubai, UAE, December 5, 2018: Superbrands, the independent authority and arbiter of branding, announced that the voting process to choose the brands in the UAE which will be recognised and honoured as a Superbrand 2019 has begun. Superbrands has compiled a list of every brand available throughout the UAE comprising over 10,000 brands which has been reduced by the Superbrands Council to make the process easier to manage. Invitations has been sent to CEOs and Marketing Directors of the candidate brands by Superbrands UAE to cast their votes for those brands they consider deserve the accolade of Superbrand. Once the online voting process is complete, the results are compiled and brands that scored in excess of 80% are considered Superbrands. “The winning brands are invited to a Gala Tribute Event where they receive their trophies. We also compile a beautiful coffee table book which will be divided into the two new categories telling the stories behind the success of each winning brand and serves as a permanent reminder of the brands' achievement. To be voted as a Superbrand is a powerful endorsement and is evidence for existing customers, potential customers, media, suppliers, investors and employees of each brand’s exceptional status,” said Mr. English. 2019 marks the 15th edition of the Superbrands programme in the UAE which is considered the ‘Oscars of Branding’ by the corporate world and is the culmination of six months of stringent evaluation and voting by the Superbrands Council members and through the online poll. “Superbrands UAE looks to promote and recognise local brands through our platform by placing them alongside major internationally recognised brands. We understand that upcoming local brands need to gain value and, in order to do so, they need to create an arsenal of qualities that mark the identity, philosophy and positioning of the brand. At Superbrands we want to support and encourage these local home-grown brands to compete in the consumer-first market place and encourage them to reach out to us if they believe their brand proposition is worth considering,” concluded Mr. English.